For anyone with an eye for detail, this micro marble design will repay your admiring gaze for as long as it continues to grace your home. The profiling takes two steps inwards, then back out again to frame your choice of gas or electric fire and give an impression of depth. 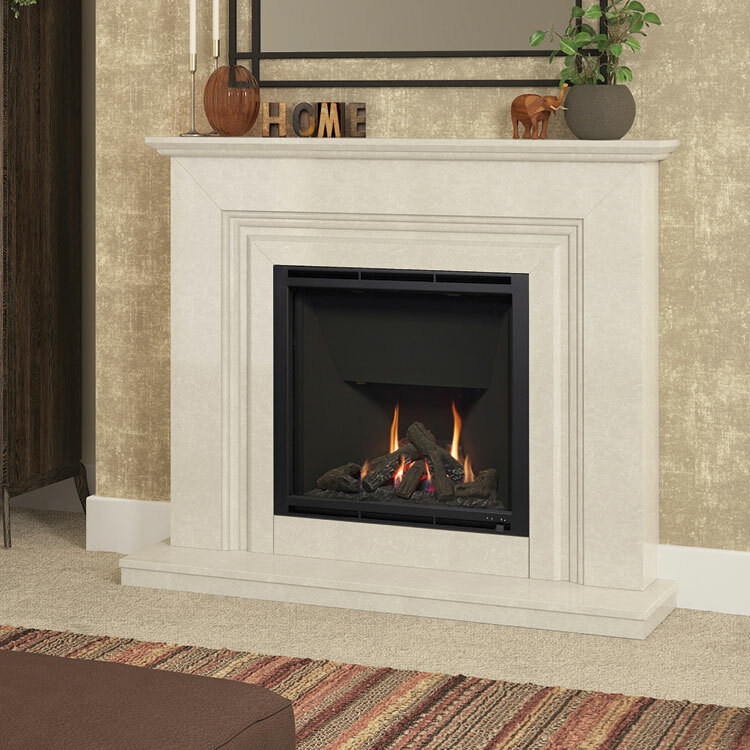 The harmonious design is completed with the bullnose shelf and standard lipped hearth. Shown with a Chollerton gas fire in Brushed Steel. The Vamella is suitable for gas and electric stoves. Back panel available with 22" cut out for installation with the Chollerton fires.